Muhammad Yusuf Alsagaff Department of Cardiology and Vascular Medicine, Faculty of Medicine Universitas Airlangga, Surabaya, Indonesia. 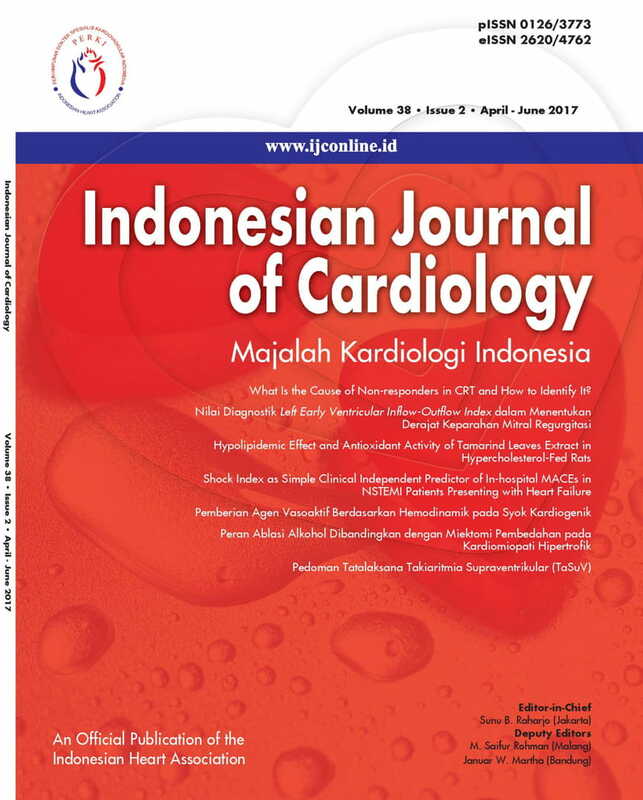 Laily Djihan Department of Cardiology and Vascular Medicine, Faculty of Medicine Universitas Airlangga, Surabaya, Indonesia. Cardiogenic shock is a life-threatening emergency that occurs frequently with acutemyocardial infarction (AMI) and the mortality remains over 50% in most studies. Despitesuccessful revascularization, cardiovascular failure leading to multiple organ failure mayoccur. Therapy with vasoactive agents should be initiated to restore adequate arterialpressure and organ perfusion in patients with shock. Recent analysis suggests that systemicinflammatory response syndrome (SIRS) is an important component of the hemodynamicinstability in cardiogenic shock. Inflammation through the nitric oxide (NO) pathway leadingto decrease in vascular resistance and these patients may necessitate supplementalvasopressor therapy. A subanalysis of a prospective randomized trial suggested that norepinephrine(NE) may be preferred over dopamine in patients with cardiogenic shock,while dobutamine is the inotrope of choice. We present a case of a shock cardiogenicand a review of a therapeutic scheme for the pharmacological treatment of patients incardiogenic shock.